Not only will your family love a hot tub but your friends and neighbors will too! 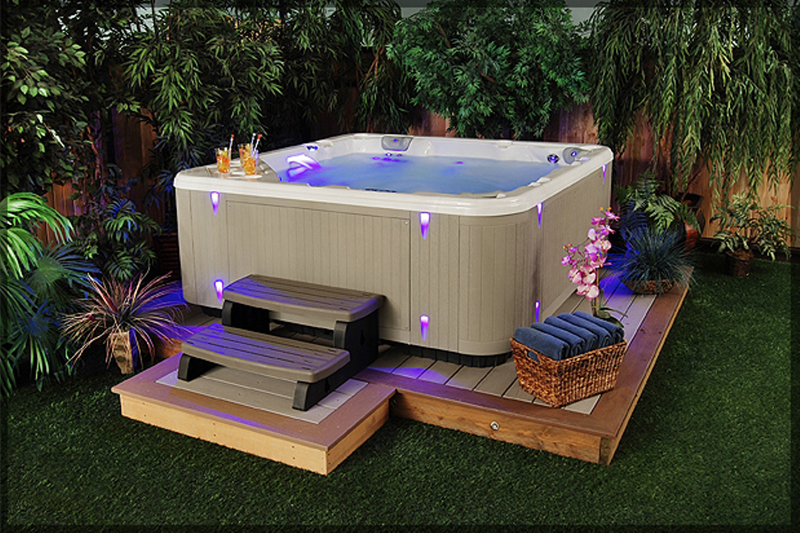 Adding a hot tub that is large enough for a handful of people is a great way to entertain in your outdoor living space. You can grill out for a party and then invite everyone to change into their suits to soak underneath the stars. Kids love hot tubs and having one creates a fun opportunity to play with the grand kids without the major upkeep of an outdoor pool. Who says your fence has to look like everyone else’s? 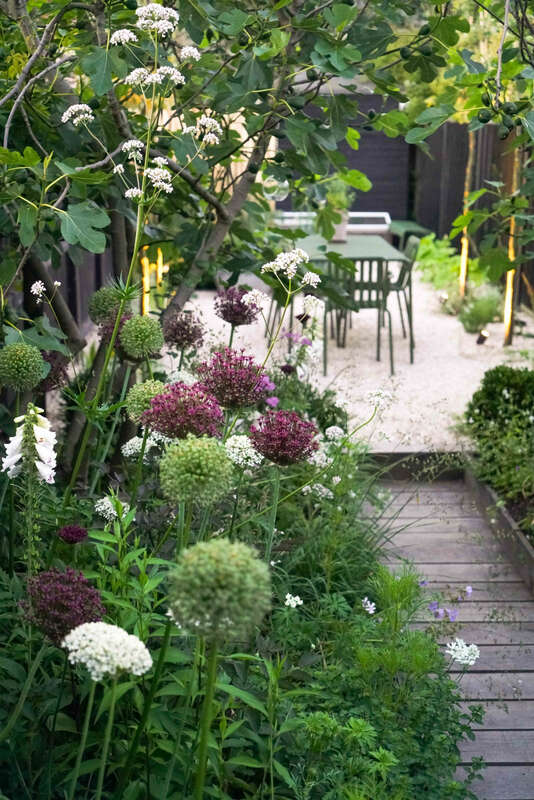 A garden in crisis greeted designers Harriet Farlam and Ben Chandler of Farlam & Chandlerin 2016. Dingy concrete paving slabs and a completely overgrown garden set a sad tone in the long, narrow space in the heart of the English harbor town of Whitstable, Kent. The result: The courtyard was sited about a quarter mile away from the sea and was relatively protected from sea salt and wind. “Once we had an understanding of how the garden should function, we were able to create a plan for the garden, with the actual layout and bones of the garden very simplistic,” she says. Photography courtesy of Farlam & Chandler. Above: Now a small breakfast terrace is at the rear of the house, and a floating deck allows the house “to breathe as it should,” Farlam says. A sunken boardwalk made of English oak leads out from the breakfast terrace, journeying through “intense planted long borders” beneath the fig trees. “The path was inspired by a public footpath along the beach in Whitstable. Instead of traditionally floating a boardwalk above planting, we decided to sink our oak path, to create interest in the garden by changing levels but also to provide an increased sense of privacy. We made the path fairly narrow (just wide enough for a wheelbarrow), to encourage you to stop and pause to look and interact with the plants on route to the dining terrace,” Farlam says. 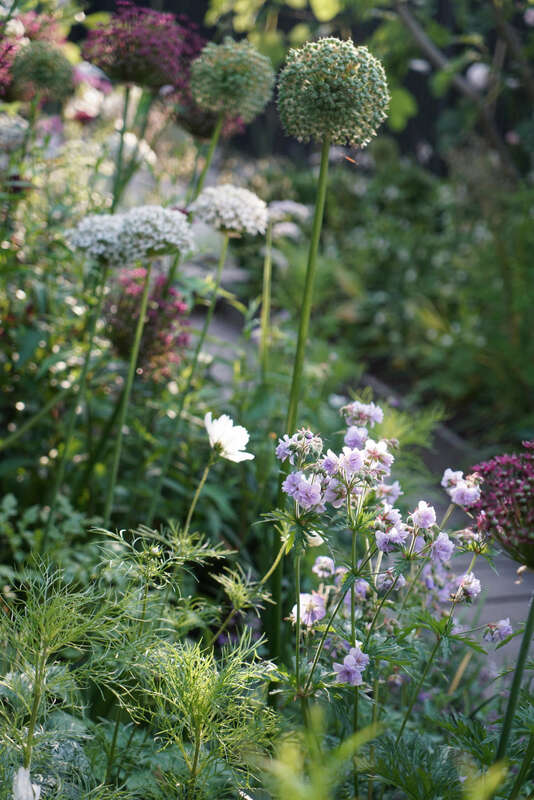 Above: Allium varieties include A. nigrum, ‘Mount Everest’, and A. atropurpureum. 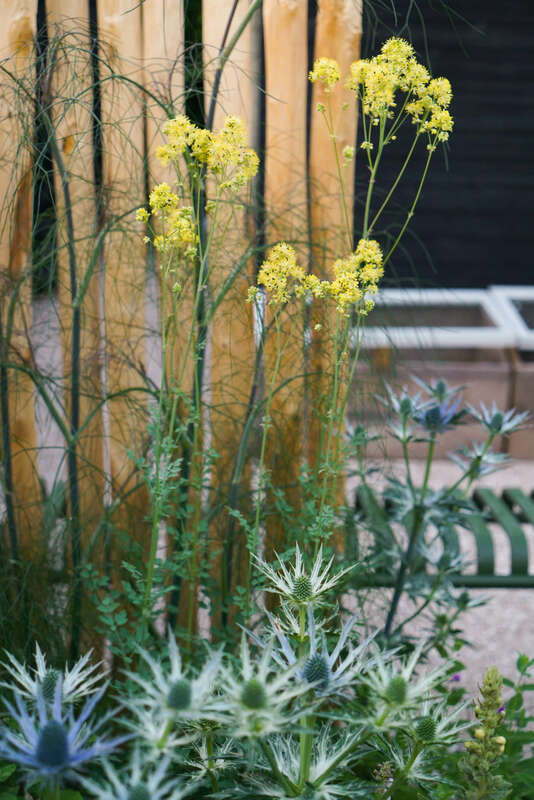 “The true character of the garden is formed with the layering of plants, which were selected to define the individual character of each area, but still be harmonious when journeying through the garden, the ‘journey’ being a very important aspect of the space,” Farlam says. 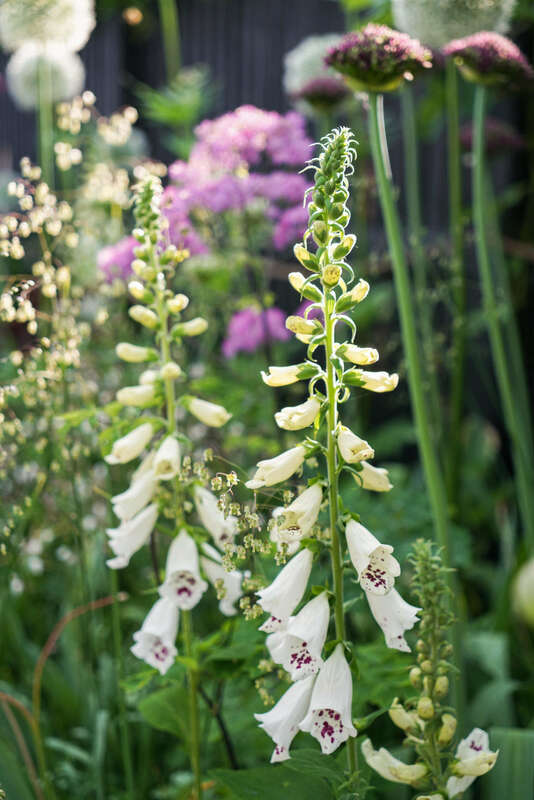 Above: Foxgloves against a backdrop of Briza grasses. Although the courtyard is buffered from sea salt and wind, a lot of the plants Farlam and Chandler chose (including lavender, rosemary, thyme, alliums, geraniums, angelica, iris, asters, fennel, and Erigeron) are salt tolerant. The fig trees provided the inspiration to use a lot of edible and medicinal plants, such as crabapple trees, valerian, angelica, and herbs. 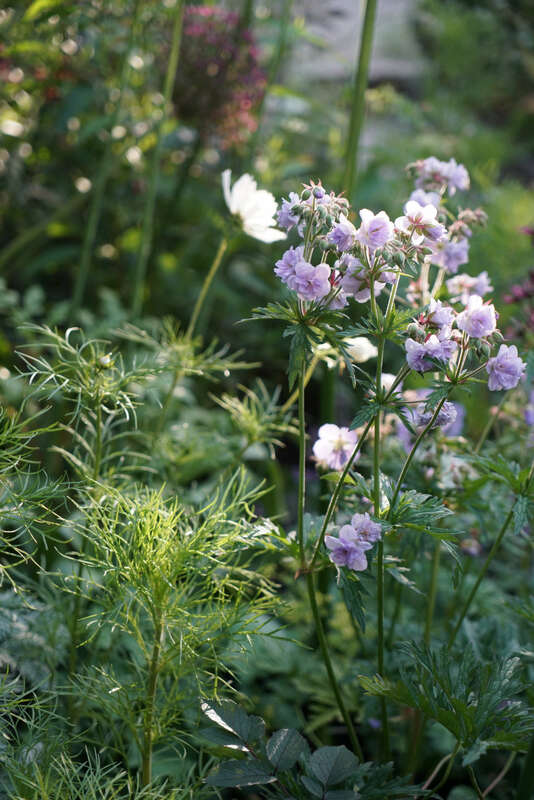 Above: Geranium pratense ‘Cloud Nine’. 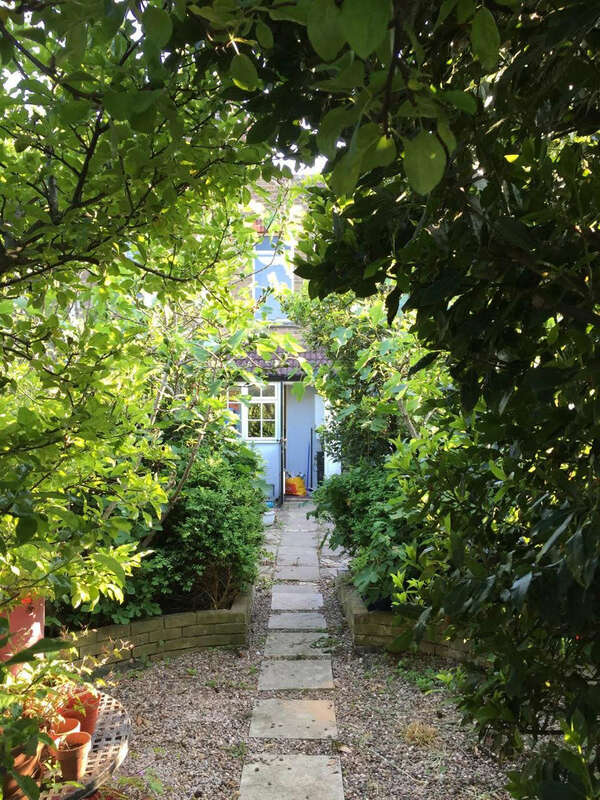 Above: “Despite how unloved the garden had first appeared, it still had a sense of magic and areas of privacy, which we wanted to retain as much as possible in the new layout of the garden,” says Farlam. “The boundaries were completely overgrown with variegated ivy, making the garden feel very narrow and oppressive,” she says. Above: Concrete pavers held moisture, making the adjacent house feel damp and dingy. Above: Two “characterful” fig trees frame the view of the simple dining terrace, which is reached via the sunken oak boardwalk through long borders either side,” Farlam says. Visible on either side of the dining terrace are the trunks of pleached crabapple trees, planted in the crushed shell surface. (The surface is a bespoke mix of crushed cockle shells with limestone chips and dust.) The crabapple trees provide both privacy and vertical interest. 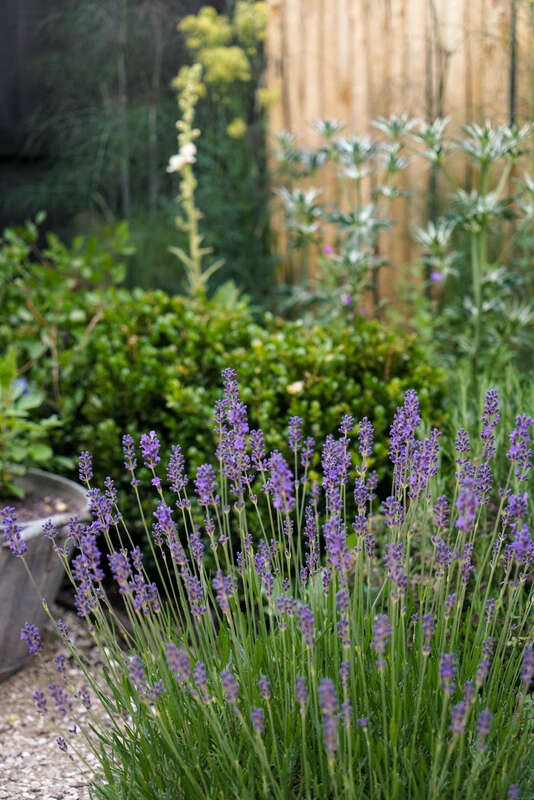 Above: Lavenders create loose sculptural balls in the gravel. “The intensity of planting disperses as you pass beneath the two sculptural fig trees into a calm, refined palette of plants in the dining terrace, a simple rectangular space with centrally positioned table and chairs,” says Farlam. 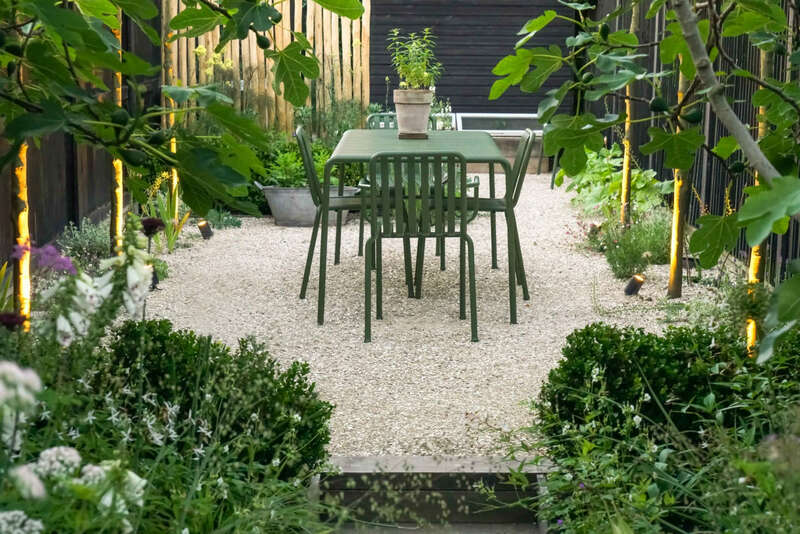 Above: The outdoor dining table and chair are by Danish design house Hay. 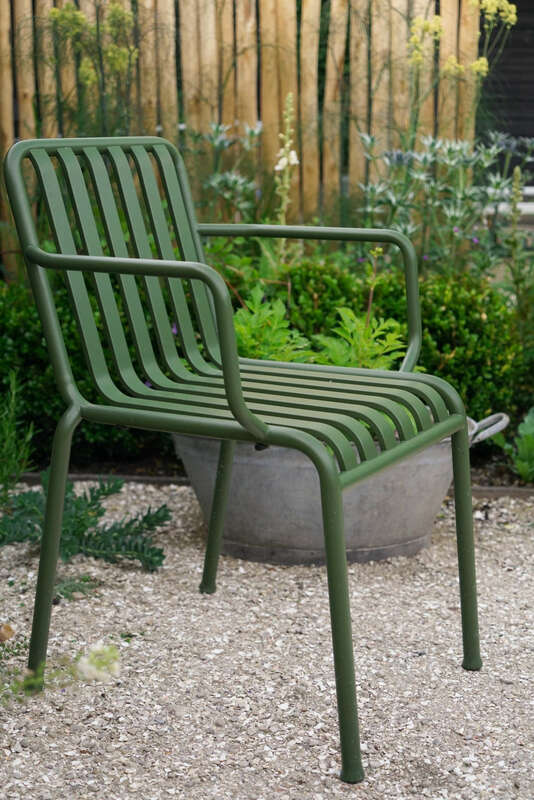 For more, see Outdoor Furniture: Metal Lawn Chairs Made Modern. Above: Cleft chestnut posts screen the rear area of the garden and the back gate from view from the dining terrace. Simple cold frames made from old sash windows create a utility area behind the screening. A potting bench and log store, with simple cold frames made from old sash windows, create a utility area behind the screening. 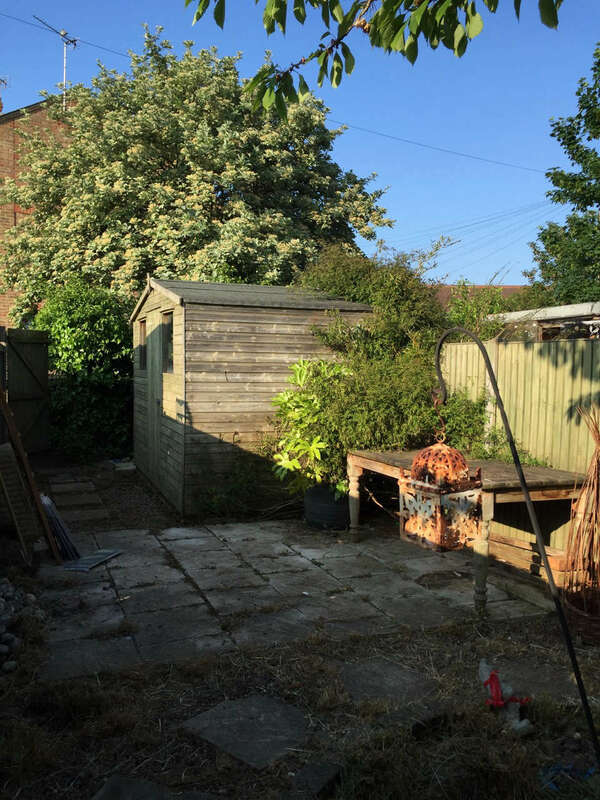 A simple metal bench (also by Hay) is positioned to catch the last of the evening sun at the end of the garden. 5.Heating and Cooling You’re going to want to make sure your air conditioning is ready for the heat ahead, so replace filters and remove and clean your unit’s fan and condenser. Make sure you turn off power to the unit before you tackle any work. Now that you’ve finally found that perfect home, you’re itching to get settled in and comfortable in your very own space. This is the fun part! You get to put your personal stamp on things and enjoy your new place to the fullest. 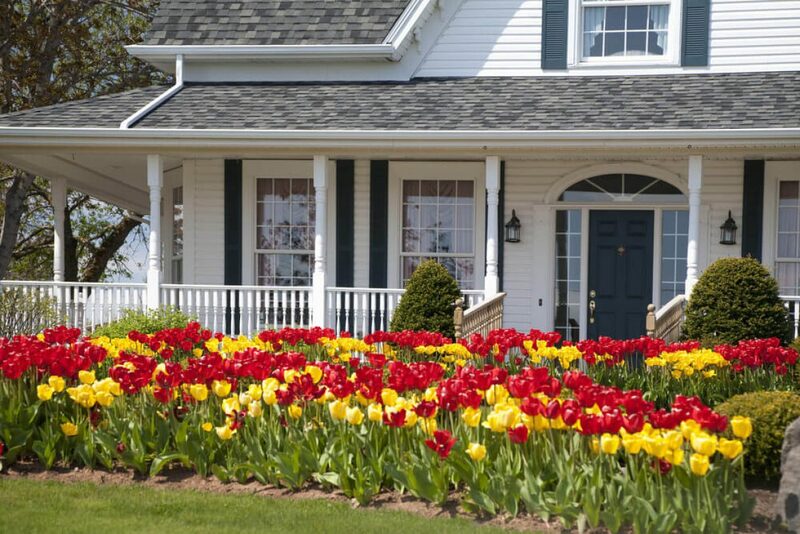 But in order to do that, you want to make sure that your most important asset, that brand-new home, is fully protected. And of course you need to ensure that your loved ones are safe, too. If you’re new to the world of home security, you might (understandably) have some questions about the best way to go about this. Your parents, your friends, your co-workers, even a well-meaning neighbor are all going to have opinions on home security. But what actually works? What do you need to ensure you feel completely comfortable in your new space—when you’re home and when you’re away? We have you covered. Here are the answers to your most common home security questions. 1. How important is a home security system? “For the utmost peace of mind, we always recommend a professionally installed and monitored home security system,” says Angela White, president of the Electronic Security Association. Why is it so important? In a study by the Alarm Industry Research and Educational Foundation, 83% of home invasion offenders said they’d check for an alarm first. Plus, today’s modern systems aren’t the one-size-fits-all models your parents bought. You have a range of options—from smart home security systems that can be controlled from an app when you’re away to a simple system with motion detectors and window sensors—so you can choose what feels right for you. 2. Should I display security system yard and window signs? It might seem like a small thing, but you should indeed display those security system yard signs and window stickers prominently. The majority of study respondents told AIREF that security system signs were effective at protecting the home. Thinking about only displaying fake signs, without adding the security system? Resist the temptation. Fake signs can be easy to spot. Only a realsign accompanying a real security system will ensure real protection in the long run. 3. Are visible exterior cameras effective? Not too long ago exterior home security cameras often stuck out like a sore thumb, prompting many people to wonder if their neighbors were secretly celebrities. Today, they’re common outside homes because homeowners have figured out they can be a valuable tool. 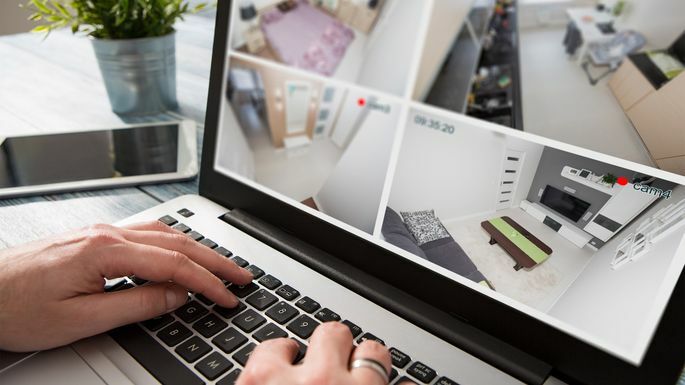 From being able to see who’s at your door, to just feeling safer knowing the cameras are there, homeowners have increasingly been turning to this relatively simple security strategy. “I personally don’t think you can go too big when installing a home security system if it makes you more comfortable as a homeowner,” says Lee Walters, a security expert with 30 years’ experience in law enforcement and founder of FortifyMyHouse.com, a security education website. Security cameras are just another effective “tool in your arsenal,” Walters says. And they’re affordable, too—as the technology has become more prevalent, the costs of purchasing and installing those cameras have gone down. 4. Should I leave the lights on when I leave? We’ve all heard this one: If you leave the lights on when you leave, people will think you’re still at home. Many people even leave their lights on a timer when they’ll be gone for an extended period of time. But does it work? “Interior lighting can be an effective deterrent,” Walters says. The key is to develop a smart system that works for you. Try turning different lamps on at different times when you leave, so that your system isn’t predictable. A better option? Try a smart home security system. “All of the interactive technology now allows you to simulate that you are home and to check in to remotely monitor what is happening in real time,” White says. Interactive systems allow you to control lights from your phone, so you can illuminate different rooms at different times—and that’s far more convincing. 5. Should I leave the TV or radio on when I leave? “It should appear that someone is home, and leaving the TV or even a radio on can do that,” Walters says. In fact, a study by KWG in Portland, OR, found some home invasion offenders weren’t willing to risk it if they heard noise inside. And if you’re leaving your furry family members at home, the sound of a TV or radio might make them feel comfy. It isn’t an exact science, but many experts believe the sound of voices can help pets with separation anxiety. 6. Should I install a home security system myself? DIY home security kits abound on the internet. Most of these kits work in similar ways: A security camera to record video (or send it to your phone) or an alarm that sounds if a door or window is opened. These kits—and professionally installed and monitored systems—seem the same on the surface, but you’ll be missing out on a ton of helpful features if you opt for the DIY. Modern home security systems are like virtual butlers. You can check on your pets from your phone while you’re running errands. You can turn the lights on remotely when you pull into your driveway so you aren’t stumbling around in the dark when you walk inside. And if you need it, emergency services—such as the fire department—are just a push of a button away. “If homeowners are looking for a trustworthy security company that can work with them to install a security system, we recommend that they visit Alarm.org to search for a member of the Electronic Security Association in their area,” White says. That way you’ll not only know what you’re getting in advance—and how well it will work—you’ll also have the option to personalize the system to make it fit your lifestyle. In the end, the experts recommend not relying on one home security strategy alone. The best approach is a well-rounded one: Get the alarm system, but go ahead and leave the radio on, too. Because in order to feel safe, you need to be safe.